HSN (the Home Shopping Network) is an American television network that uses its TV channels to directly sell everyday home items to viewers. The publicly traded company (NASDAQ: HSNI) is based out of St. Petersburg, Florida, United States, but also broadcasts across the world in countries like the UK, Japan and the Philipines, where it targets the local market. As well as soliciting orders via phone during broadcasts, the company now also operates an online store at HSN.com where customers can purchase products seen on the TV and a catalog of other items. Exclusions: Auto-Ship orders Details: Get $10 Off with code for New Customers. Details: Get $10 Off with code for New Customers. The site is an increasingly popular avenue for customers because you can make savings on purchases by using special HSN coupons. Whenever new deals and offers become available and they are redeemable by coupon we update our list here at Coupofy. So be sure to check back before ordering to ensure you get the best possible deal! HSN was founded in 1982 as the expansion of a local Pinellas County, Florida, show ran by Lowell "Bud" Paxson and Roy Speer. 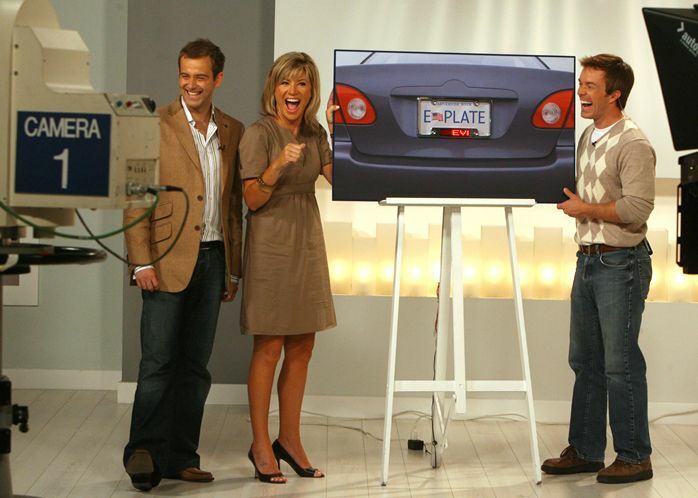 Although the production quality was much poorer than today, the format was very similar with hosts essentially pitching products to the audience while encouraging them to call a number to make a purchase. Paxson got the idea when an advertiser at the radio station he worked couldn't pay for the airtime and sent him boxes of can openers instead. To get the money owed Paxson decided to sell them on the air to listeners. After acquiring several other networks and eventually getting a wide reach of American household, HSN was able to go public. It has since expanded to regions all over the world. The online store was first launched in 1999. HSN's inventory is similar to any midrange department store, covering everyday home items like clothing & accessories, home decor, electronics, appliances and gadgets, crafts, gifts and novelty items, health & fitness, beauty & cosmetics, and items for the kitchen. The website allows you to easily browse through these categories to find specific products or there is a clearance section for all reduced items. You can easily compound these savings by using one of our HSN coupon codes. There is also a search bar if you have an idea of what you want, and when you enter a category product listings can be further refined by price range, popularity, release date, and other parameters so you can find exactly what you're looking for. There are also handy users ratings and reviews to help you make up your mind. Like many stores you can also by electronic and traditional gift cards (up to $100) so you don't choose the wrong gift for your loved one. Credit Cards: Visa, MasterCard, American Express, Discover, and Diners Club. You can also use HSN's own branded MasterCard, which you can apply for and mange online. This comes with a number of discount perks for regular shoppers. If you want to redeem a HSN coupon code, all you have to do is copy said code over from Coupofy and enter it in to the promotional box at HSN. You should see this during checkout before the payment step. When a coupon is entered correctly you should see a confirmation message and your total order cost should drop according to the offer. There is one flat shipping option at HSN. Orders are processed within 48 hours within the business week and take another 3 to 7 days to deliver. The cost is determined by the size and value of your order, though they often run deals to get cheaper or free shipping. Sometimes free shipping can be redeemed with a HSN coupon code. HSN operate a 30 day return policy, allowing customers to return products within 30 days of the delivery date, so long as its in its brand new and original condition. You can print a return form and prepaid shipping label from your online account, the cost of which will be deducted from your refund. Shipping costs can only be covered if you received damaged or defective items. @TByrd1177 Hi Teywonia. Did you need assistance from us? If so, please email your HSN order and account# to [email protected]. @sagesurge Sorry for the disappointment, Dana. We'll forward your feedback to Comenity Capital bank.